On Friday, April 20, 2018, the University broke ground on Fitts-Woolard Hall, the crucial next step in the College’s move to Centennial Campus. 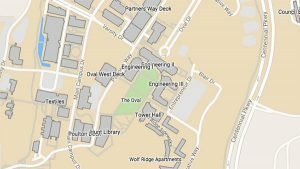 The new building will bring together innovators from the Department of Civil, Construction, and Environmental Engineering and the Edward P. Fitts Department of Industrial and Systems Engineering (ISE). Meet two alumni who have supported the project and are helping continue the College’s excellence in engineering. Growing up, Tom Cunningham’s father always told him he’d be an engineer. “NC State University is the only place to go become an engineer,” said Cunningham, who graduated with his bachelor’s and master’s degrees in materials science and engineering. Cunningham took a break during his undergraduate years and joined the U.S. Army. It was here that he became an officer, stationed at Fort Jackson, South Carolina, in 1967. He left for Vietnam in 1968 as a first lieutenant, moving up in the ranks to captain when he returned to Fort Jackson. In May 1970, he returned to NC State to complete his degree after four years in the service. He graduated in December 1971. With the GI Bill and a NASA fellowship, Cunningham decided to continue his education and worked toward his master’s degree, graduating in 1974. Post-graduation, Cunningham joined GE as a process engineer and worked his way up to engineering management over a 32-year career, retiring in 2006. 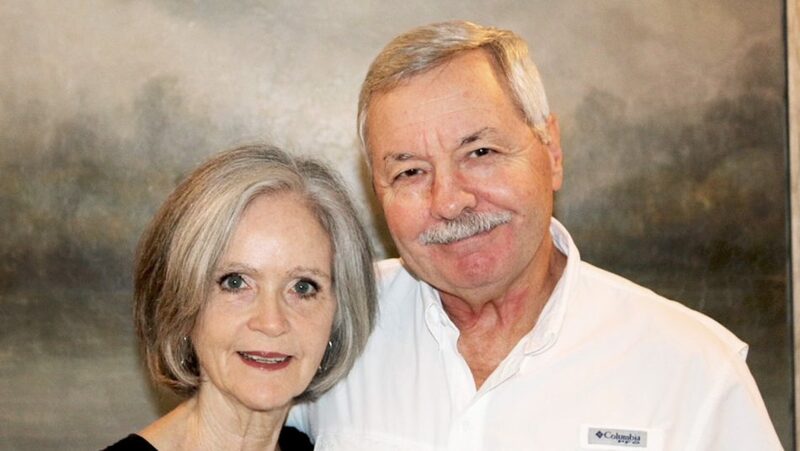 Cunningham and his wife, Mimi, a University of South Carolina alumna who retired from UNC Wilmington’s university relations office, have a long history of university giving. They have established an endowment to support the Park Scholarships Program, a planned gift in the College and the Tom and Mimi Cunningham Academic Leadership Endowment — a scholarship that supports their mission of empowering undergraduate students through higher education. The Cunninghams have most recently donated toward Fitts-Woolard Hall. Joe Pleasant has deep roots to NC State. 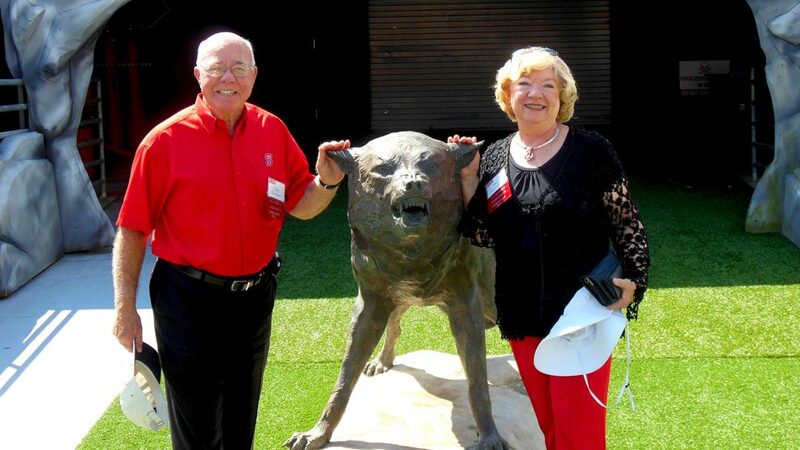 “I grew up on a farm in Angier, NC, down the road from NC State and my dad was a 1947 agriculture education graduate,” said Pleasant, a 1972 graduate with a bachelor’s degree in industrial engineering. After graduation, Pleasant had an interest in patent law and after an internship in a patent office, he interviewed with a manufacturing firm. He then went on to work with a small healthcare engineering and systems improvement consulting firm in Charlotte, NC. It was here that Pleasant conducted engineering consulting at hospitals, where he was part of a small team of fewer than 10 at Carolinas Hospital and Health Services, later to become Premier, Inc. After 42 years at Premier, he retired as chief information officer after helping grow the company nationwide and expand shared services for healthcare organizations to include biomedical engineering, data services, information systems, benchmarking and group purchasing. Reflecting on his industrial and systems engineering degree, Pleasant shared that it provided a great base for how to analyze problems and develop creative solutions. “My engineering background gave me the ability to solve problems as they came about in my career, and the technical systems approach served me well in leading the information technology portion of the company,” said Pleasant, who earned his MBA at UNC Charlotte in 1977. Pleasant and his wife, Vicki, wanted to give back to the school that enriched so many in their lives. They have donated toward the ISE enhancement fund, the College Leadership Fund and the Clarence Smith Endowment in the ISE department, and established the Joseph M. Pleasant Family Department Head Endowment in ISE. Most recently, they have donated toward Fitts-Woolard Hall. Return to contents or download the Fall/Winter 2018 NC State Engineering magazine (PDF, 3MB).